Michelle Malone is a super ball. She's irrepressible . . . and with Hello Out There, her seventh studio recording, she's seemingly unstoppable. Released independently on Malone's own SBS Records, Hello Out There is an image-filled collection of 12 newly recorded songs that bounce far beyond the simplistic industry titles of folk, pop or rock. This record is supercharged with the spark plug guitar leads and passionate vocals that have become Malone's trademarks. The title track radiates somewhere between the power pop of the Pretenders and the layered vocal textures of Stone Temple Pilots. "Sleepy Sunday Morning," co-written and recorded with Emily Saliers (Indigo Girls), is a beautiful narrative and illustrates that Michelle has not forgotten her acoustic roots. "Super Ball," an uplifting song of determination and survival, is richly curved, anthemic and unbound. "I wanted a slightly more produced sound this time out, but still maintain an organic foundation. I think of it as sonic roots-rock." These are Malone's offerings, graceful and fiery, with honest songwriting and irresistible melodies. Hello Out There resounds with marvelous evidence that Michelle Malone continues to make music that matters. In whichever musical bin she's been placed throughout the years (try alt-country, speed-folk, power pop or straight up rock and roll), Atlanta charmer Michelle Malone has certainly had an intriguing career. Her first independent release garnered enough attention to land her a big deal, but after recording her major-label debut she found that autonomy much better suited Michelle Malone. She has since either recorded with labels focused more on artist development than artist disposability, or she has put out her own records. Michelle founded SBS Records in 1992 as a way to reissue music of which she had regained ownership. In 1999 she self-released Home Grown on SBS and has independently sold more than 15,000 copies. Since she began touring and recording in 1987 she has built a loyal grassroots following that has supported Michelle to the tune of over 100,000 records sold to date. With a sly disregard for trend, fierce will and resilience, she continues to do things her own way. It's no wonder she claims such a fondness for Sinatra. And, speaking of touring, Michelle has crossed the states dozens of times over, back and forth and sideways. Her live performances are take-no-prisoner affairs. She attacks with equal parts reckless abandon and delightful Southern charm. Malone has been known to transform the largest of rock arenas into a living room, a jazz club or honky-tonk. During the past year she has played over 200 shows, including dates on the road with the Indigo Girls, both in support and as a satellite member of their band. Michelle's website is located at www.michellemalone.com where MP3's can be downloaded and her CD's, including Hello Out There, can be purchased. 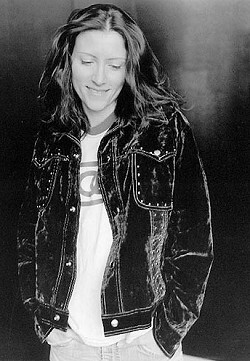 Photos, press clips and tour information are also available at www.michellemalone.com.